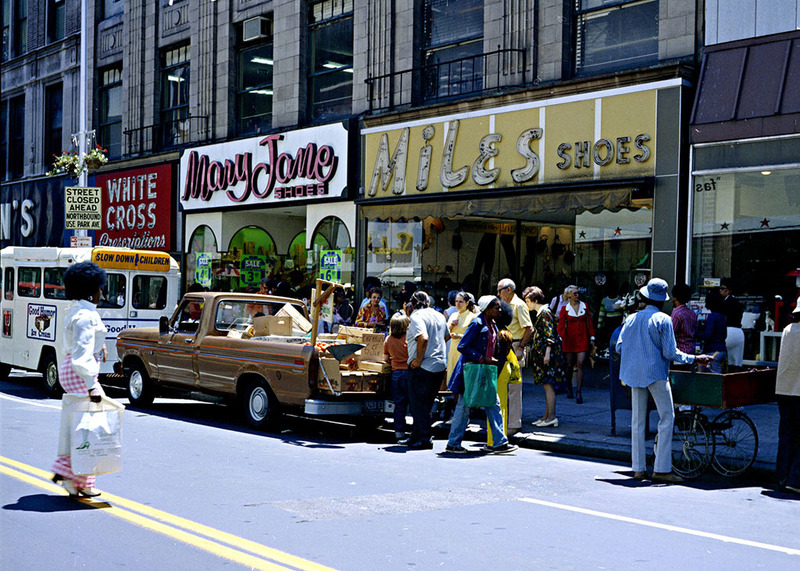 In contrast to the high-end shopping at Stewart's or Hochschild-Kohn's on Howard Street, West Lexington Street offered goods of all kinds at affordable prices thanks to a row of five-and-tens from Read's Drug Store down to Kresge's on the other side of Park Avenue. McCrory's at 227-229 West Lexington stands out with a colorful early twentieth century tile facade built over a structure that likely dates back to late nineteenth century. John Graham McCrorey started the chain in Scottsdale, Pennsylvania in 1882 and soon expanded with locations across the country. Noting McCrorey's reputation as a smart and thrifty businessman, in 1887 The New York Times reported that he had legally changed his name, dropping the e, because he did not want to pay the cost of the extra gilt letter on his many store signs. McCrory's on Lexington Street opened in the late 1920s and was one of over 1,300 McCrory's outlets operating around the country by the 1950s. 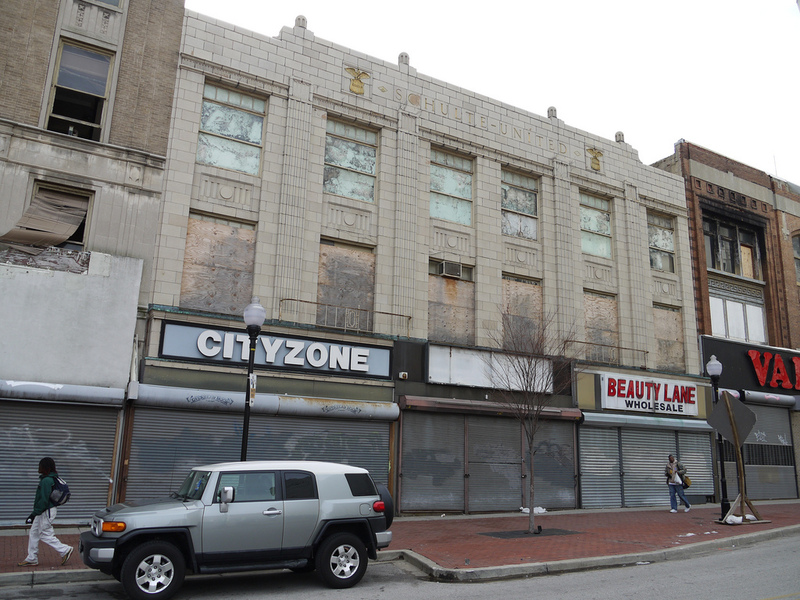 The more modest Kirby-Woolworth Building east of McCrory's began as two buildings put up by two close competitiors - Frederick M. Kirby and the H.G. Woolworth & Co. 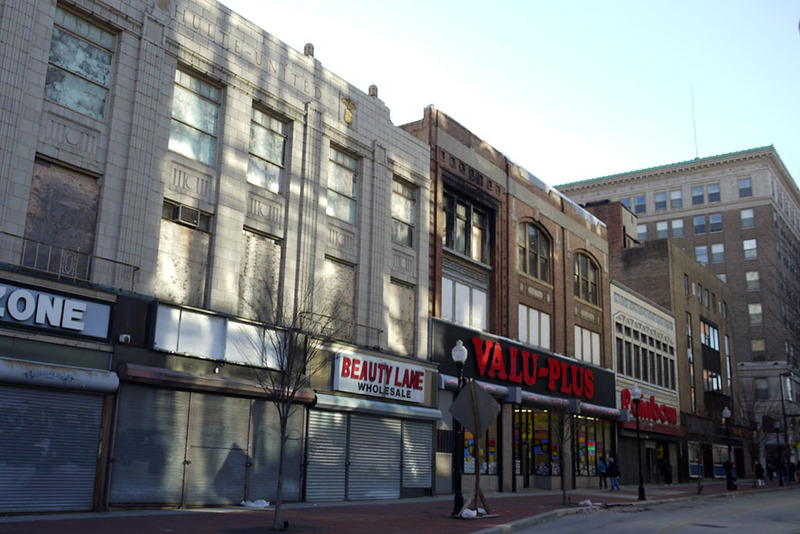 In retrospect, the reunion of the two buildings feels inevitable as Kirby and Woolworth pioneered the five-and-ten cent store business together in the 1870s and early 1880s, opening a store together in Wilkes-Barre, Pennsylvania in 1884 before parting ways in 1887. The two buildings came up side by side on Lexington Street in 1907 and likely combined into a single structure after the merger of H.G. Woolworth & Company and F. M. Kirby & Company in 1912. Schulte United Five and Dime offers a unique façade with shining gold eagles and incised lettering along the top of the building. 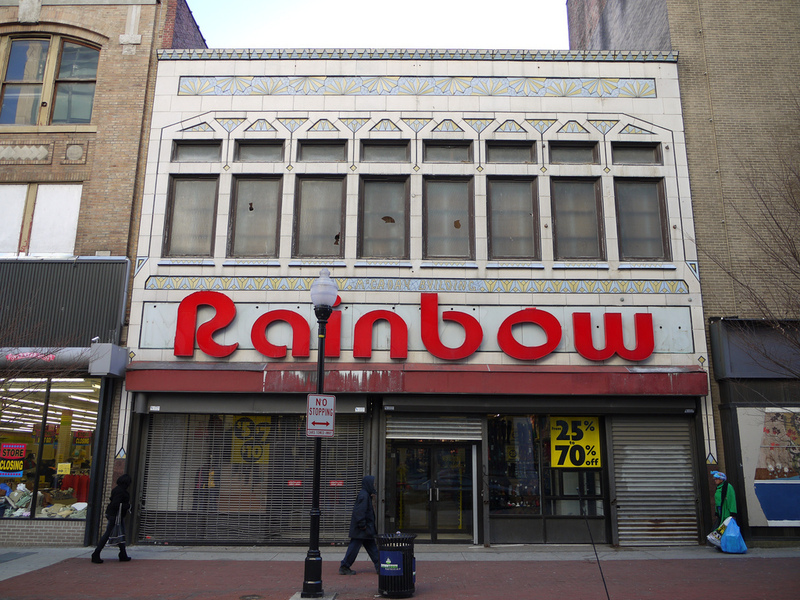 The building began as the Eisenberg Underselling Store, later known as the Eisenberg Company, with the determined motto that they offered "prices that are irreproachable everywhere." By 1928, 600 employees worked for the Eisenberg Company at several locations throughout the city. Within a few years, however, Schulte United – established by David A. Schulte, a "tobacco store potentate," who decided to enter the five-and-dime business in 1928 with the ambitious goal of investing $35,000,000 in 1,000 stores around the country – purchased the store on Lexington Street. Theresa Donnelly, “Five and Dimes on Lexington Street,” Explore Baltimore Heritage, accessed April 19, 2019, https://explore.baltimoreheritage.org/items/show/83. Published on May 3, 2012. Last updated on Nov 27, 2018.